The borrowing worked out so well that the Floridian, who is 46 and the sole proprietor of Austintatious Designs, re-upped for a second loan of $12,000 to help purchase a commercial van. The van will be used to transport flowers, plants and tools while doubling as a billboard-on-wheels. “It gives me more ‘street cred,’” he jokes. Like Austin, Pam — who asks to be identified by her first name —found National Funding through an online search. And she too secured $5,000, although her transaction was structured as a merchant cash advance, rather than a loan. The terms of the MCA require a daily debit from her bank account. She reckons that the total cost of the MCA to be roughly $1,500. Pam pronounces herself satisfied with the deal and mightily impressed with the way National Funding treated her. The process took about three days — and would have gone even quicker if she’d located her professional licenses sooner. Best of all, she says, the agent at the company tailored the financing to suit her circumstances. “They were great as far as getting my questions answered, even listening to my past situation, which others may not have cared about,” she says. The positive experiences that Austin and Pam had with National Funding are not isolated instances. Rather, they are representative of clients’ dealings with the company. Witness its online reviews from business borrowers at TrustPilot which go back three years, run for 36 pages, and merit National Funding a 9.4 rating on a scale of 10. That’s a straight-A grade on any report card. Although there’s the occasional naysayer — four percent assert that their experience was “poor” or “bad” (and some negative comments can be blistering) — the weight of the reviews is almost embarrassingly positive. 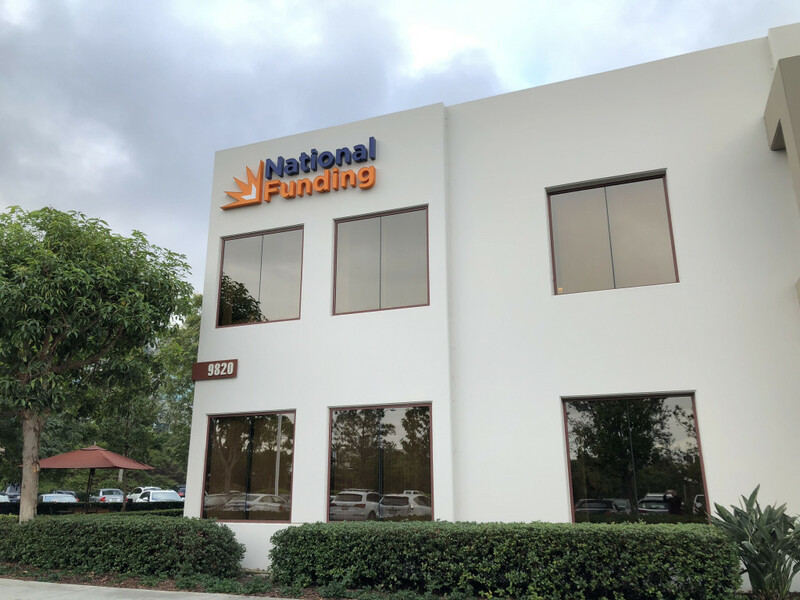 All of which helps account for why National Funding — its 230 employees working out of a sleek suburban office building guarded by a tall stand of palm trees in San Diego — is a rising star in the world of alternative business lending and financial technology. In 2017, the company raked in $94.5 million in revenues, a 24.8 percent bounce over the $75.7 million recorded a year earlier and nearly fourfold the $26.7 million posted in 2013. In recognition of the company’s three-year growth rate of 142%, Inc. magazine included National Funding in its current list of the country’s 5,000 fastest-growing companies, the lender’s sixth straight appearance on the coveted roster. Since its inception in 1999, National Funding reports that it has originated more than $2 billion in loans to some 35,000 borrowers. 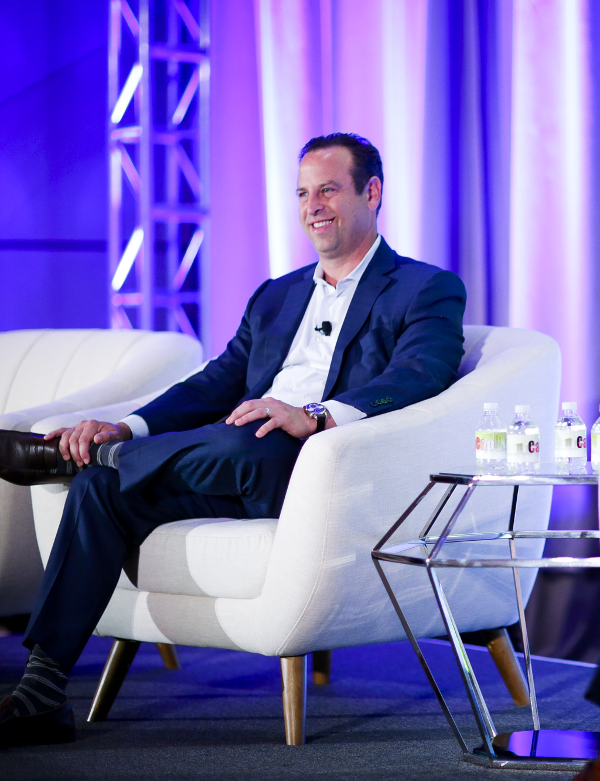 The company’s impressive performance has similarly merited accolades for David Gilbert, the 43-year-old chief executive who started the company on little more than a shoestring and whom employees regularly describe as “visionary.” Among Gilbert’s trophies: Accounting firm Ernst & Young recently presented him with its “Entrepreneur of the Year 2017 Award” for San Diego finance. At first glance, the San Diego financier doesn’t look too much different from its cohorts. The company proffers unsecured loans of $5,000 to $500,000 to a mélange of small businesses in all 50 states and across multiple industries, including retail stores, auto repair shops, truckers, construction companies, heating-and plumbing contractors, spas and beauty salons, cafes and restaurants, waste management, medical and dental clinics, and insurance agencies. 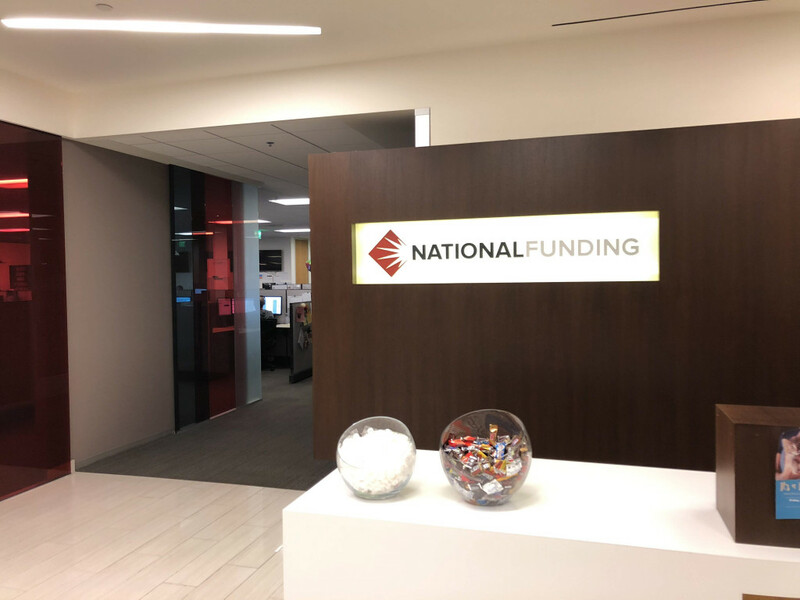 Along with unsecured loans, National Funding offers equipment leasing – usually for heavy trucks and construction equipment – as well as merchant cash advances. The equipment lease is secured by the machinery. As in the case of Pam, the wellness coach cited above, MCAs are debited daily, the money automatically withdrawn from bank accounts. A company with a conscience. Customers come first. And yet National Funding turns heads with its sales production of roughly 1,000 financings a month and triple-digit growth rate. So how do they it? A good place to start is with Gilbert, whose leadership skills, business acumen, and second-to-none work ethic “set the tone,” says Kevin Bryla, the company’s 52-year-old chief marketing officer. For his part, Gilbert credits his family background and an upbringing in which education and academic achievement were strongly encouraged. The fifth of six children, he’s the only one who opted for a business career. “There are three doctors, two lawyers – and me,” Gilbert says. The son of a prominent physician, his mother a homemaker and volunteer docent at the nearby Nixon Library for the past 25 years, Gilbert grew up in Yorba Linda. He attributes his keen interest in business to observing how his father, a pathologist, operated his own laboratory, which employed 60 people. “It was the business side of medicine that fascinated me,” he asserts. Even so, his two closest friends at the University of Southern California — fraternity brothers Marc Newburger and Sean Swerdlow– tell a somewhat different story. They remember Gilbert as someone who found his true calling, his métier, during his college years. Enrolled initially in pre-med courses, he was a diligent student but, his friends assert, manifestly unsuited for a career in medicine. At first, sales at the stadium were lackluster. USC students kept trying to bid down the price or importune them to throw in an extra tee. 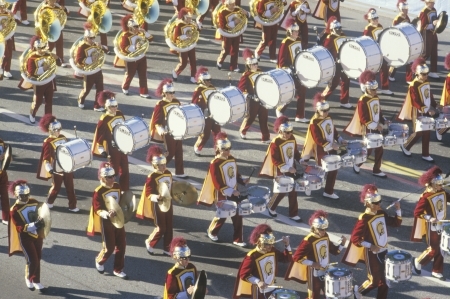 As for the game itself, USC’s chances for victory looked equally unpromising. As time ran out, however, the Trojan quarterback completed a Hail Mary pass and USC won. The two fraternity brothers grabbed the bundle of shirts and sprang into action. “We got to the exit just in time and sold out in a matter of seconds,” Newburger recalls. Gilbert, who is married with two children, is legendarily loyal to friends and family. While most members of a college fraternity might keep up with old companions after graduation by exchanging greeting cards and attending college reunions, Gilbert goes the extra mile. Many of the personality traits described by friends and colleagues — tenacity and competitiveness, self confidence and leadership — played a key role in the development and success of National Funding, which Gilbert founded just two years out of college with $10,000 borrowed from his uncle, Howard Kaiman, of Omaha. He’d worked a couple of quick jobs right after college, including a stint at small-business lender Balboa Capital, but he was always destined to be his own boss. 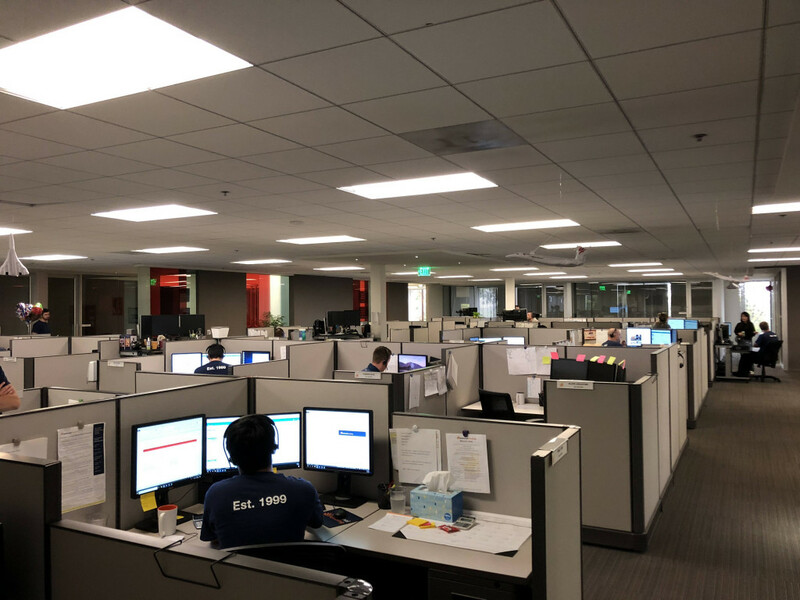 Gilbert’s start-up was called Five Point Capital and, at first, it was located in the affluent Chatsworth section of Los Angeles and concentrated on equipment leasing. By 2007, Five Point was cranking up operations, revenues shot to $28 million and its headcount totaled 210 employees. “Then the Great Recession hit” in 2008-2009, Gilbert says. The company was forced to furlough 140 employees, two-thirds of its workforce. Yet even as it retrenched, the company managed to branch out. It began making merchant cash advances, Gilbert says, and, also in 2007, it linked up with CAN Capital to do broker financings. “We were pretty well known and they were looking for partners for factoring and leasing,” Gilbert explains. It took time to recover after the financial crisis. But by 2013 – the year that Gilbert re-branded his company “National Funding” – the company was able to hire back as many as 15% of its laid-off employees (most had found other jobs, in many cases relocating to Silicon Valley, Gilbert reports). By then, the company had secured a $25 million credit facility from Wells Fargo Bank, which allowed it to move up the food chain to “become a balance-sheet lender,” Gilbert says, and offer a wider selection of financing options. 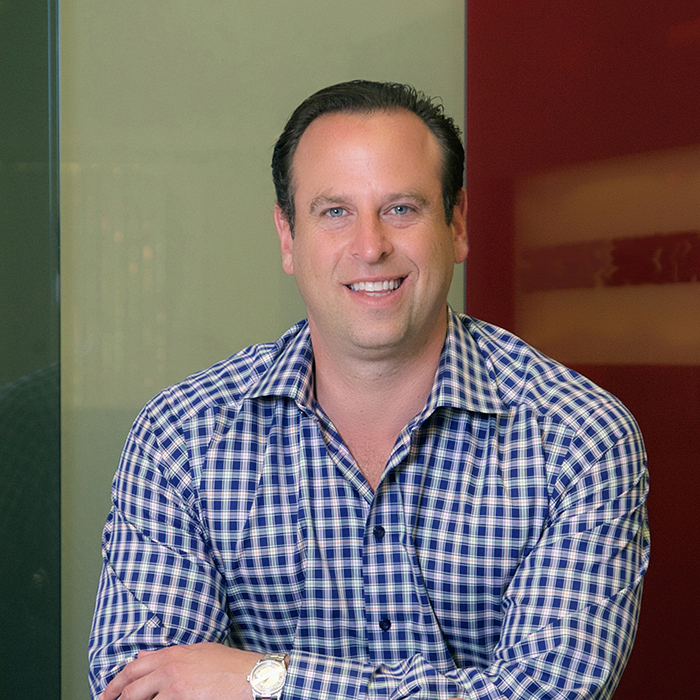 Gilbert is a big believer in the benefits of sports marketing, the company’s website featuring the logos of the San Diego Padres (baseball), and Anaheim Ducks and Los Angeles Kings (hockey). Ever the faithful alumnus, Gilbert and his company back USC football as well. 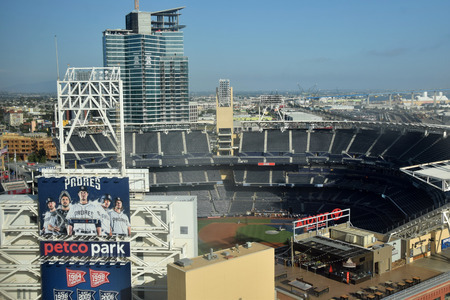 During the 2015 2016 college football season, the company paid for naming rights for what became, for one night, the “National Funding Holiday Bowl” at Qualcomm Stadium. Janet Fink, department chair at the McCormack School of Sports Management located at the University of Massachusetts-Amherst, told deBanked that sponsorship programs can easily cost a million dollars or more. “It’s not cheap,” she says. “When a company sponsors a team, they get a number of benefits. One is that they get to put the team’s logo on their website. The idea is that fans are passionate or have an affinity for the team and that it will rub off on a sponsor. Gilbert believes in the old adage that you have to spend money to make money. The company spends $14 million rewarding its network of outside brokers. Inside the company, high-performing salespeople are compensated with commissions, bonuses and an assortment of rewards, including resort trips. Using the software program “customer relationship management” (CRM), National Funding expends a lot of effort gathering data on its business customers and extrapolating the information for use in credit evaluations. But the use of technology only goes so far. If there’s a fly in the National Funding ointment, it’s that the company’s fees can be more expensive than a bank loan. Even more grateful was Jimmy Frisco, of Annapolis, who is co-owner with his wife of Lisa’s Luncheonette, a business that includes a food trailer and several cafeterias located in the city’s office buildings. They employ about a dozen people.